Now an international sensation, uni was once an uncommon delicacy enjoyed only by the regions which harvested them. Today, because uni is so difficult and labor-intensive to harvest, suppliers are having a hard time keeping up with soaring demand. 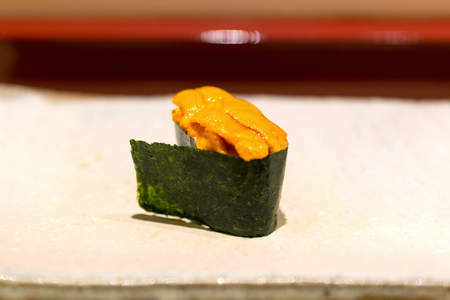 Uni only became popular in sushi shortly after the Second World War. It is not "traditional" in *Edomae* sushi, but is too delicious for *Edomae* chefs not to include it on their menus. 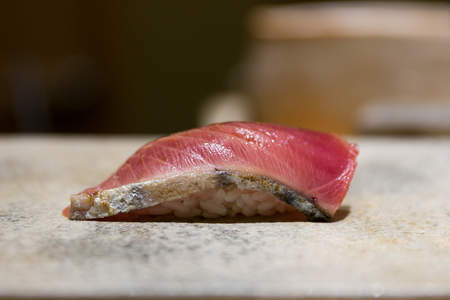 Tai is an incredibly important fish to the Japanese people and, as such, has a very special place in sushi. In fact the small port town Toyohama in Hiroshima throws a massive festival in the summer to commemorate tai, complete with 18-meter long sea bream floats and dozens of food stall vendors. The popularity of this fish in particular is the origin of the popular taiyaki waffle desserts shaped like a sea bream fish and filled with anko bean paste. Maguro broadly refers to tuna. 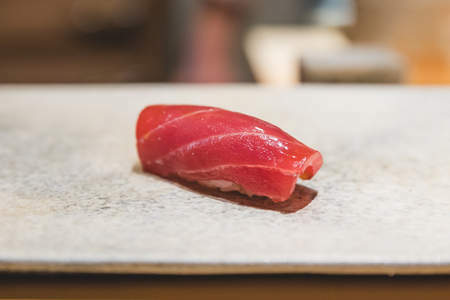 If you go to a sushi restaurant and just order maguro, the chef will assume you mean lean tuna (akami) from whatever species of tuna they have on hand. 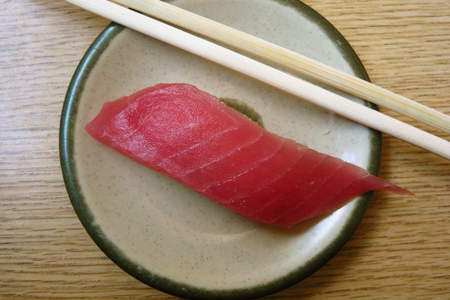 But in sushi, we distinguish between the species and the cut. 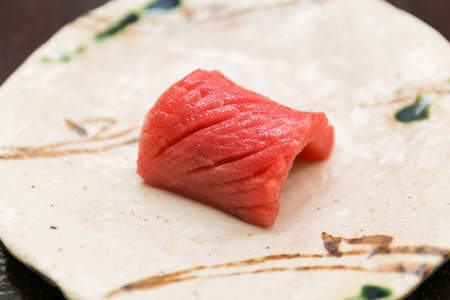 For example, the fattiest part of the tuna belly is called otoro (the name of the cut). And northern bluefin tuna is hon maguro (the name of the fish). 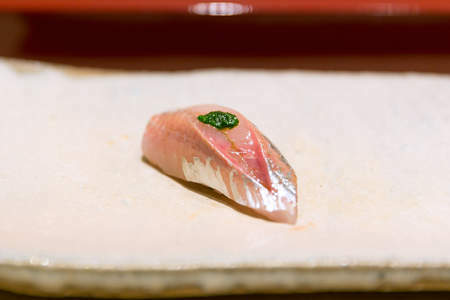 Shima-aji, or Japanese “striped horse mackerel,” is a common point of confusion for many sushi eaters. 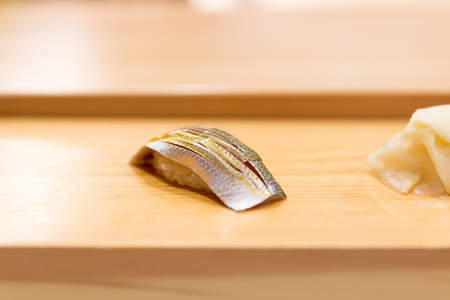 The shima means “striped” and aji is Japanese “horse mackerel,” or “jack.” But shima-aji and aji make two very different types of sushi. 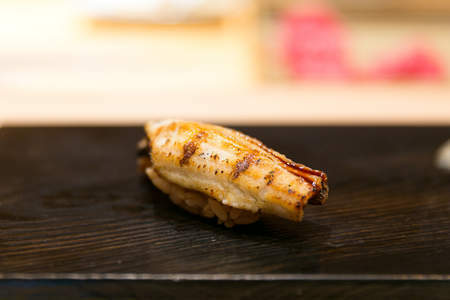 Aji would be more familiar to those who have eaten the more common saba (mackerel), which is a bit more fatty and oily with a “fishier” finish. 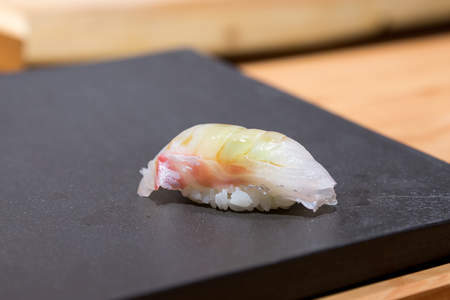 The shima variety is quite a bit leaner and more delicate, closer to kanpachi. So you want to make your own sushi? The home sushi chef faces the main challenge of sourcing ingredients, namely seafood fresh enough to make good sushi and treated properly for raw consumption. 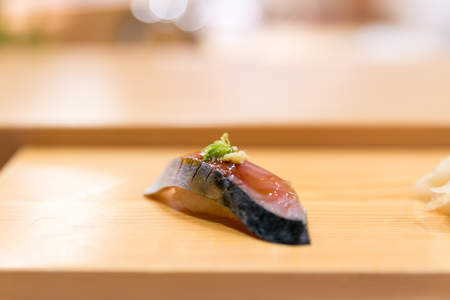 Sushi’s strong emphasis on ingredients makes sourcing the hardest part; the market for sushi fish for consumers is small enough to limit the availability, consistency, and variety of products. 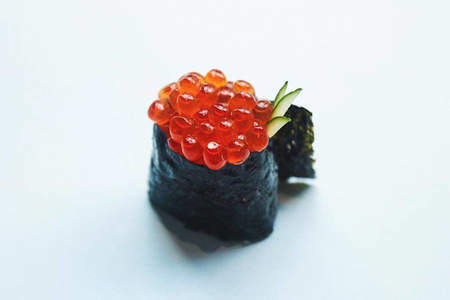 Ikura refers to the roe (fish eggs) of salmon, which are non-native to Japanese waters. In fact, the Japanese did not eat salmon until a wildly successful Norwegian marketing campaign in the 1980’s. The name ikura is believed to have come from the Russian word “ikra,” which means “fish eggs.” Today, ikura only refers to the eggs of salmon. Shimmering silver-skin Kohada are such wonderful Summer treats. They have a very special place in Japanese cuisine, especially sushi. The general name for these fish is Konoshiro, which are small sardine-sized fish. In English, they have the unfortunately unappetizing name "Gizzard Shad." As they grow, they get new names in Japanese to denote their size. 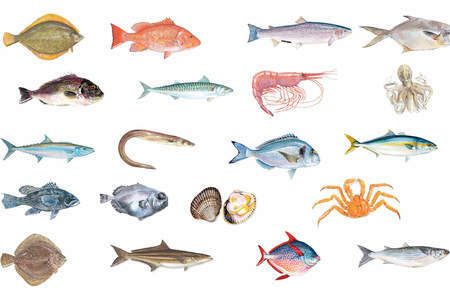 Which Sushi Fish Have Parasites? Salmon, tuna, snapper, flounder, escolar, sea bass—there are countless fish to try as sushi and sashimi! But with a wide diversity of options comes the burden of remembering which can and cannot be safely consumed raw. That's why we've put together a helpful buying guide to flag species that have parasite risks and other hazards.